Finding a good binary options trading software these days is a very rare thing. You don’t know when and how a platform which you believed to be offering you with good service turns out to be a fake system. Believe me; I have seen people who wasted their money and valuable time by getting involved in sites which deceived them in the long run. 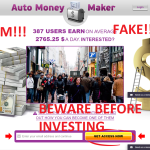 In this article, I am going to expose a new platform which immediately caught my attention because of it’s not so convincing and dubious website. The name of the system is Free Profit Code and if you have ever come across the system the best thing you can do is keep yourself as far away as possible. 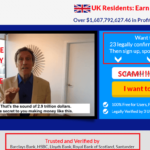 Anyways, if you are interested to find out why I call Free Profit Code a scam then you must go through this article and find out the red flags of the system in this Free Profit Code review. This can also help you know how a typical scam site looks like which in turn can help you to identify more scam sites by yourself. The first thing I noticed about the Free Profit Code system is the amount of fiction that is involved and less of technicality. Nowhere will you find and proper information about this system and this makes sure that the system, we are dealing with is not authentic. As you open the website you will see a promotional video which plays right away. A woman named Natalie who is the voice actor behind the scenes starts talking about how you can turn into a rich and successful person from being a failure once you use the system, just like that. Well, if that’s the case then why has the code remained hidden all these time and why aren’t people fighting over it? It should have made the headlines on our daily newspaper and television don’t you think? 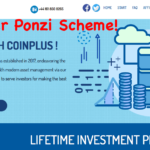 The reason behind is that the Free Profit Code is a low-class scam which is not even a proper binary options trading platform but clearly an affiliate marketing system. Sounds dangerous and all you need to do with this site is stay away and help yourself by looking for professional options trading platforms. Who owns the Free Profit Code? As far as the information in the video is concerned the woman says that the person who owns this Free Profit code system is her boyfriend. Well I understand that Natalie, but why did you keep your boyfriend hidden somewhere and why would you keep on speaking rather than identifying yourself? I believe everyone knows the reason why. The above picture which pops out during the starting of the video is used by the scammers as the picture of Natalie. To find out who she actually is I made a little investigation and found out that this is actually a picture of a freelance writer who writes in Parent101. If you don’t believe my words take a look at the picture below. I think it’s clear by now that the woman is not the person in the picture. Next in line is her most loved boyfriend who is the supposed owner of the Free Profit Code software. The picture above says the whole thing about Free Profit Code. Now, my question is why to keep everything so ambiguous if she knows that she can be a savior to the people who have never been able to do anything in their life? It’s only because she is fake and has been made to talk behind the camera and do this dirty job for the scammers in exchange for some cash. The whole video and the idea of the Free Profit Code system is a bad-bad story and there are no tangible facts about anything that you are going to experience in this platform. Well you don’t do business that way isn’t it? 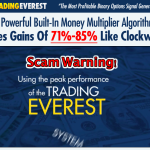 Where are the trading options, the algorithm behind the system if by any chance it’s a binary options trading platform and what are the actual technicalities behind the Free Profit code? 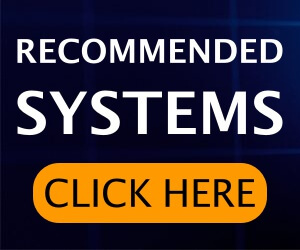 Free Profit Code software has testimonials and success stories lined up one by one in the video, just like any other site. 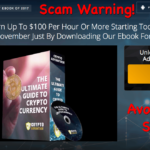 Well this is a very prehistoric ploy that scammers has been using to fool innocent people into believing that their software works like a money-making machine. Come to reality and have a look at the actual options trading sites where professional traders do their business. You will be in awe of the amount of hard work and planning that they do to be successful in the trade. For example the person below shows us the amount of money he earned the value of which seems to be quite exaggerated. Not only one but there are more people who are making unrealistic claims about the earnings which is not at all possible in the real market. One of the biggest evidence that is available in the video is the claim made by the two person who worked with Natalie in a hotel while she was working there as a waitress. They talked about their successful experience with the Code but simply did not provide any details about the hotel or restaurant where they used to work. This seems to strengthen my idea that these people are fake and the system itself s a dangerous scam. The most goofy thing about Free Profit Code is what Natalie says about the copies of their system that are remaining. She says that she is going to provide you with a copy of the system which her boyfriend made and since there are 82 of them left, so you must hurry. So according to her you must register fast in order to get that code. But if you come back later sometime and open their website you will see that the number of copies remaining are still the same. Well this is a trick to put you under pressure so that you are compelled to get involved in this affiliate business. She also promises to give you some kind of financial freedom which will make your life easier and let you experience the best in your life. Did you ask yourself why someone would do that for you? As far as we know money doesn’t come easy so I am not going to fall into such a trap and its better you do the same.